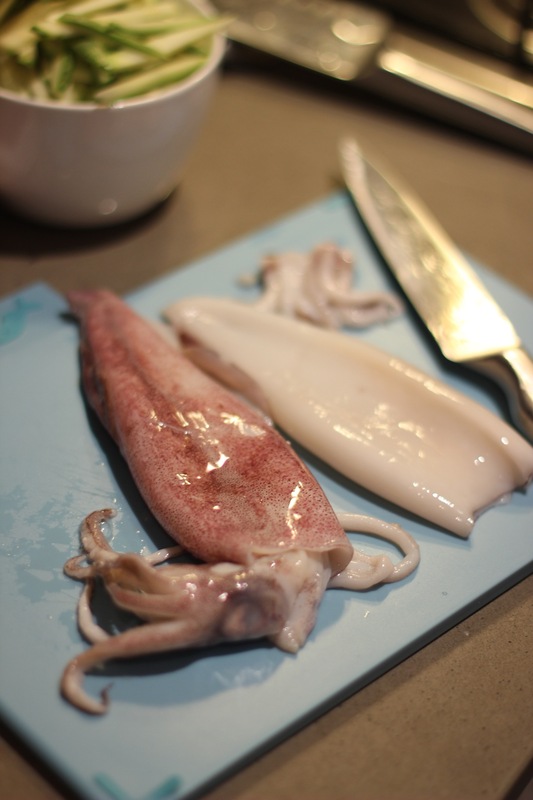 Call it ‘arroz con pulpo’ or octopus rice! This French organic wine is a perfect accompaniment for your autumn or winter casseroles. I can sure praise this wine as it went so well with the Coq Au Vine I cooked this past Saturday, one more recipe I will be sharing with you very soon. This nice drop is made with a blend of Merlot, Syrah and Grenache in a 16th-century Chateau, you almost feel quite grand when you drink it. The wine is smooth, well balanced and exhibits black fruit notes like raspberry and blackberry with a hint of spice. Where can you buy this wine? I love good wines and enjoy the challenge in pairing wines with the recipes I make. One area I need to do more work on this year is to blog the wines that are often a hit with my dishes. On this occasion, I was encouraged by a local wine aficionado to try the 2015 Il Chicco, a Riesling from Shobbrook wines. He loves this wine so much that he was heading back to the Oakbarrel this week for a few more bottles and convinced me to do the same. He was right the wine was quite a hit last night with the simple tomato sauce based pasta and king prawns. Like a true Riesling, it’s high in acidity and aromatic, but it’s quite left of centre for a Riesling as winemaker Tom Shobbrook blended a seven-year-old sherry, the result is stunning. Tom follows traditional European methods and the wine’s natural state sure comes through with its striking oxidative flavours. In addition to its aromas, you have the freshness from this young wine that makes it a perfect match for shellfish. Where to find this wine? 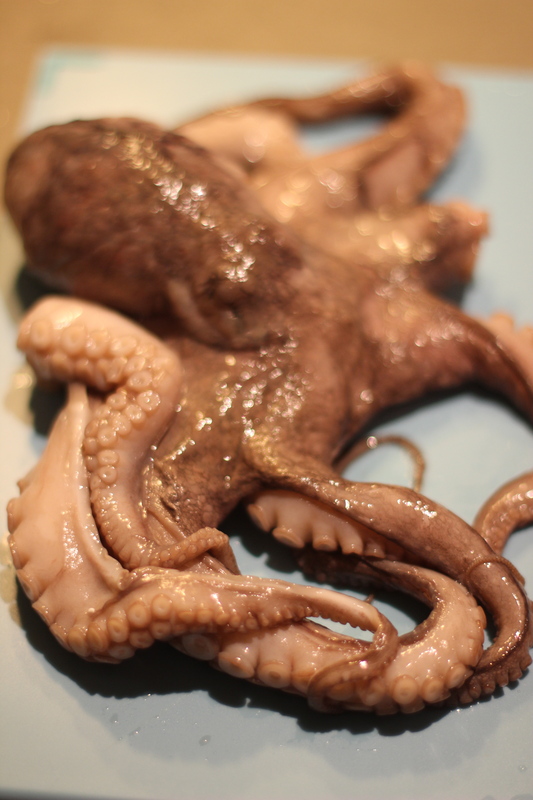 When in Spain say – Pulpo con aioli! 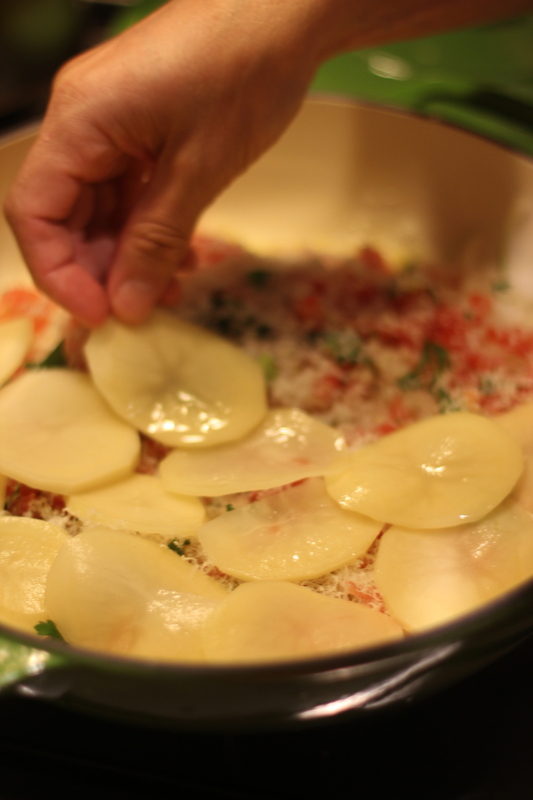 A typical Spanish dish, Arroz caldoso! Arroz caldoso is another great typical dish from Spain, and the star ingredient is Calasparra rice. The main characteristic of this recipe is that the rice is served in its rich broth, as opposed to allowing the liquid to evaporate. 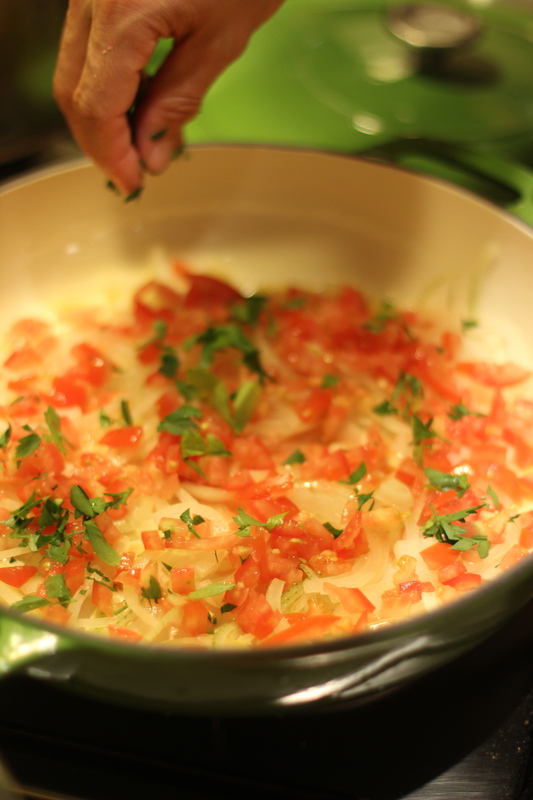 As soon as you are done be quick to serve it before the rice absorbs all the liquid. 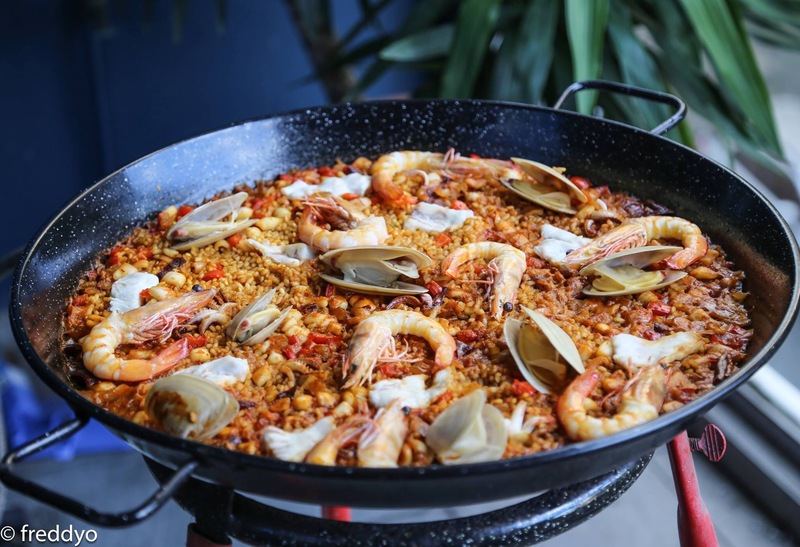 Across Spain you will find many varieties of this dish, the most common ingredients used are chicken, pork ribs, duck, rabbit, prawns, clams, vegetables or a combination of these ingredients. 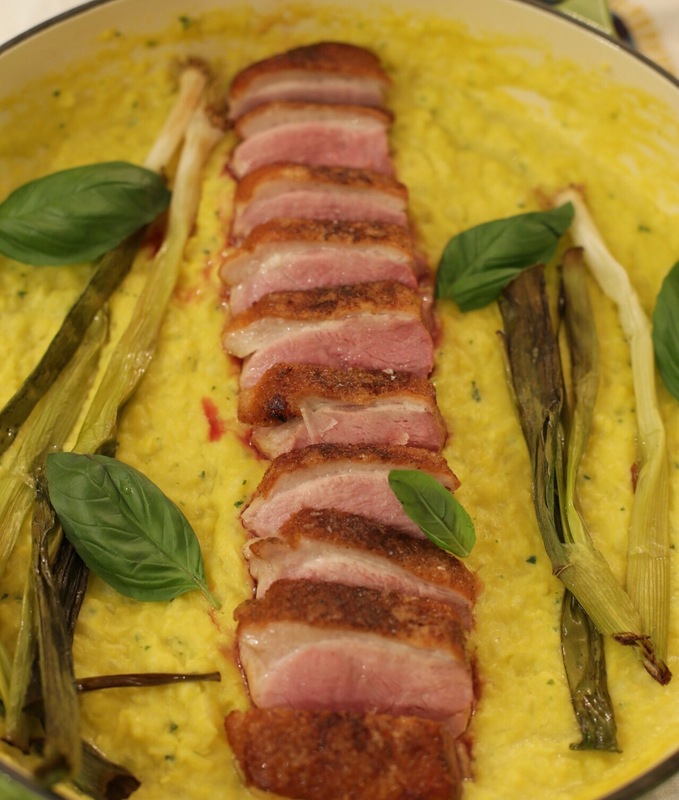 I was fortunate to try this recipe in Seville, where they use wild duck as they have a vast population that breed in the southwest of Seville. Sear all the meats in a heavy based pan + olive oil + garlic cloves. 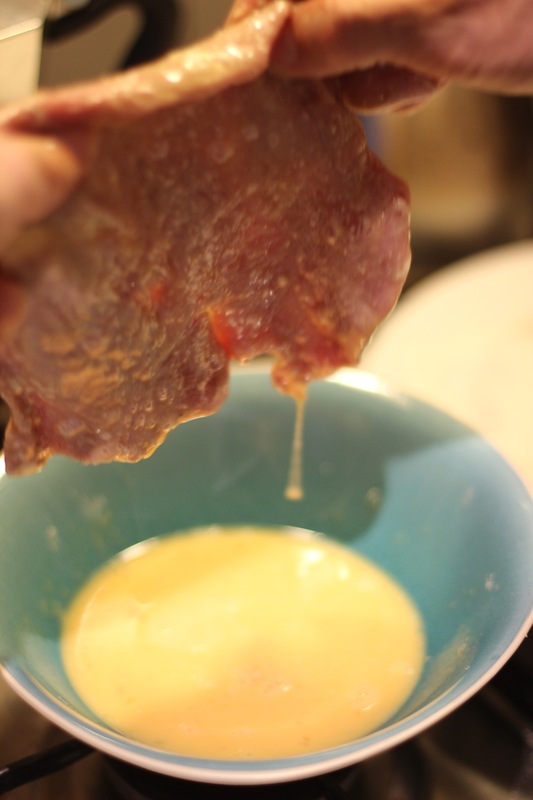 Once all well browned, remove the meats and garlic from the pan + quickly sear livers. 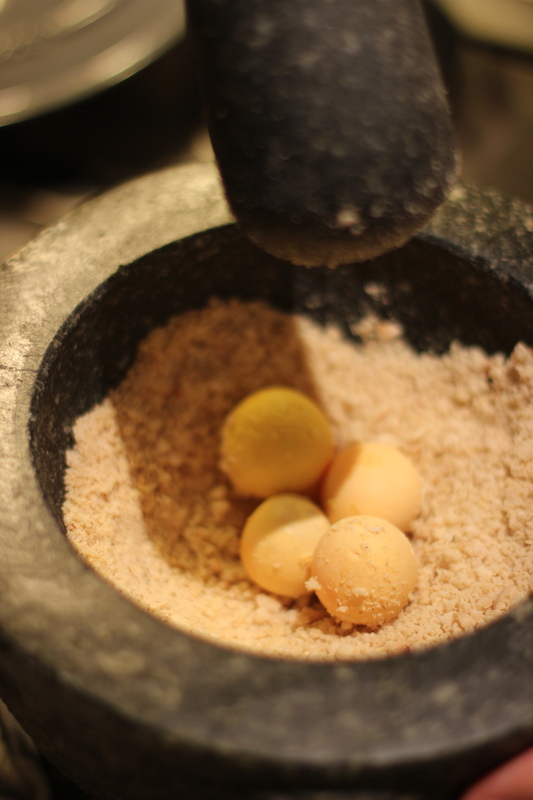 In a mortar and pestle, gently pound the liver and toasted almonds into a paste + 50ml wine + paprika + stir well. 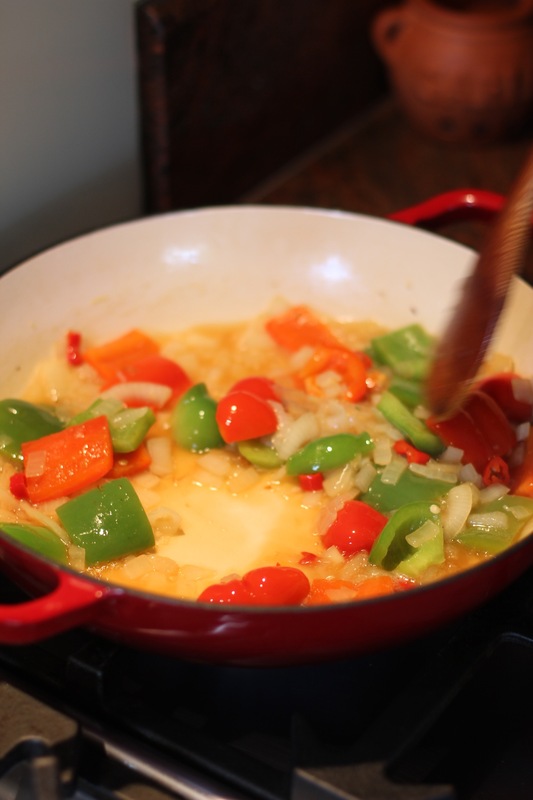 Add the onions, capsicum and chilli to the pan, gently brown all the ingredients until it becomes a sticky sofrito + salt and pepper to taste + tomato pulp + stir well + allow the juices to evaporate + wine 150 ml wine to deglaze the pan. 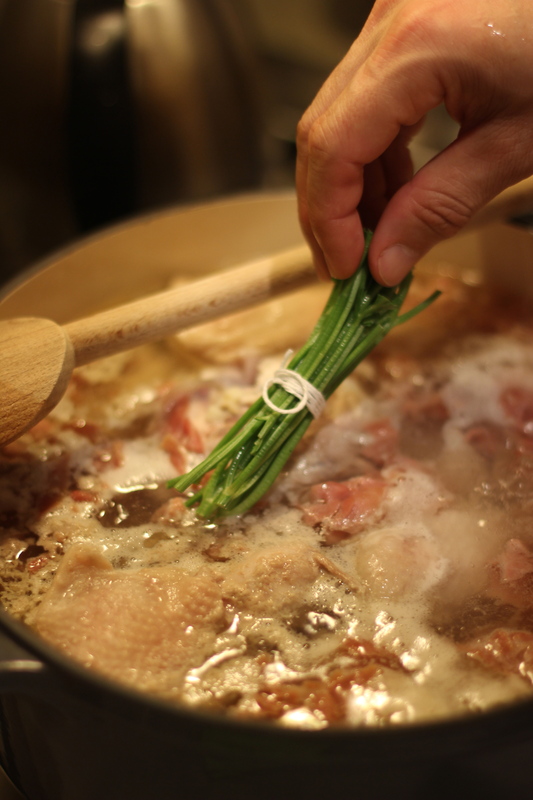 Add chicken and pork ribs back to the pan + water + bring to a slow simmer + cloves and cinnamon + liver and almond paste + stir well + rice + allow to simmer for 15 min, add the asparagus in the last 4 minutes. Make sure to serve it as soon as it is ready. This dish is well matched with a Carinyena wine from Catalunya, Spain. We gathered for my father’s birthday last Saturday. All week I pondered on recipes for the occasion. The family loves seafood, so I had a starting point, but the whole sea to work with! During the week I mentally gathered images of my favourite seafood recipes, but as always I leave it to the day’s produce to inspire me. Right at home at Gnome! Just over a week ago on 18 September we celebrated Chile’s National Independence Day. 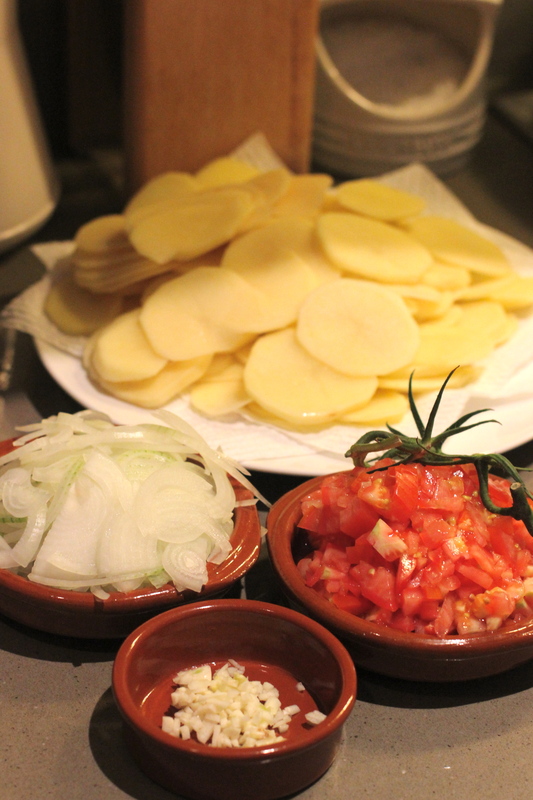 An occasion I look forward to each year as there is no better reason to make some of Chile’s favourite recipes. Chileans proclaim it as ‘el dieciocho’ (the eighteenth), it is celebrated over a week with fiestas patrias (national festivals) across the country. This includes parades, drinking, eating traditional Chilean food, folkloric music and plenty of dancing, like the cueca, a traditional dance created by the huasos (Chilean cowboys). We should have booked one more night in Kirishima, Japan! The birthplace of Tonkotsu Ramen! Jim’s Butchery, cares about you and your meat! It’s Good Friday, almost everyone has escaped the city of Sydney and the streets of Surry Hills are eery and quiet. Where are the locals who have chosen to stay back and claim this suburb as their own. Well it appears everyone is trying to squeeze into Reuben Hills on Albion Street. 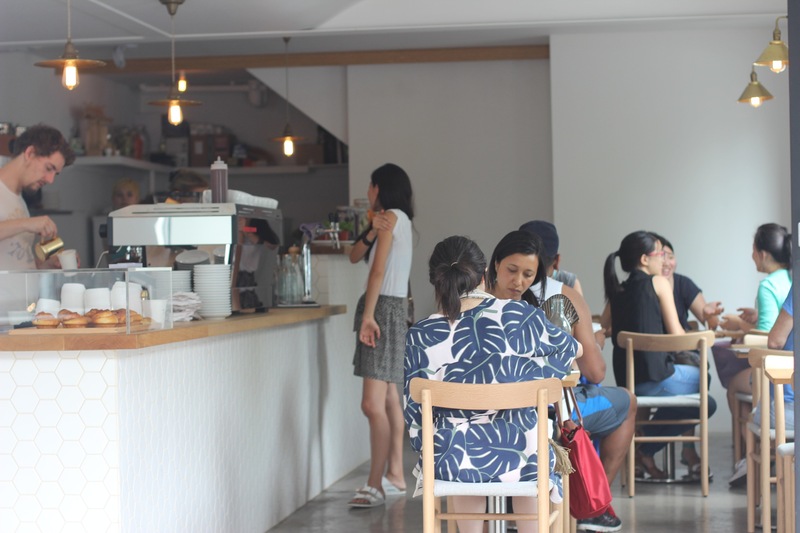 This hipster cafe with a contemporary space and extremely cool staff is buzzing today. The aromas from the open kitchen drag you in and take over your senses. 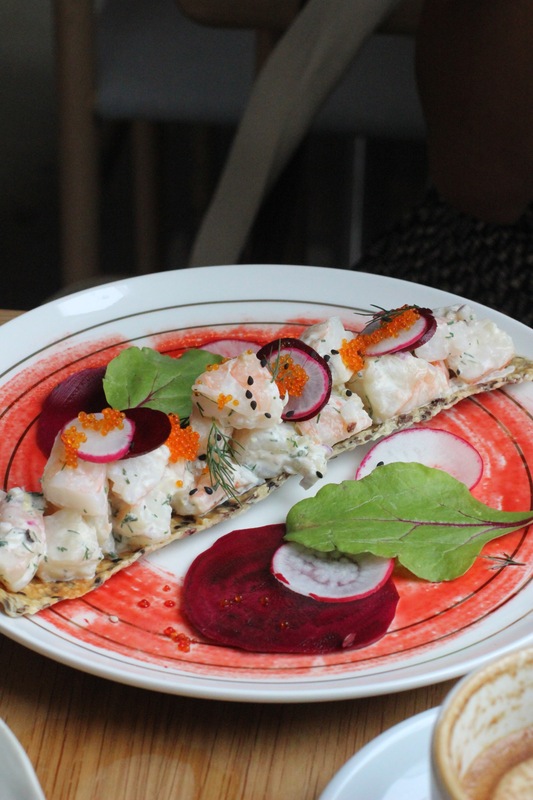 The menu is inspired by Central American foods, like baleado, tostadas and chillaquiles. 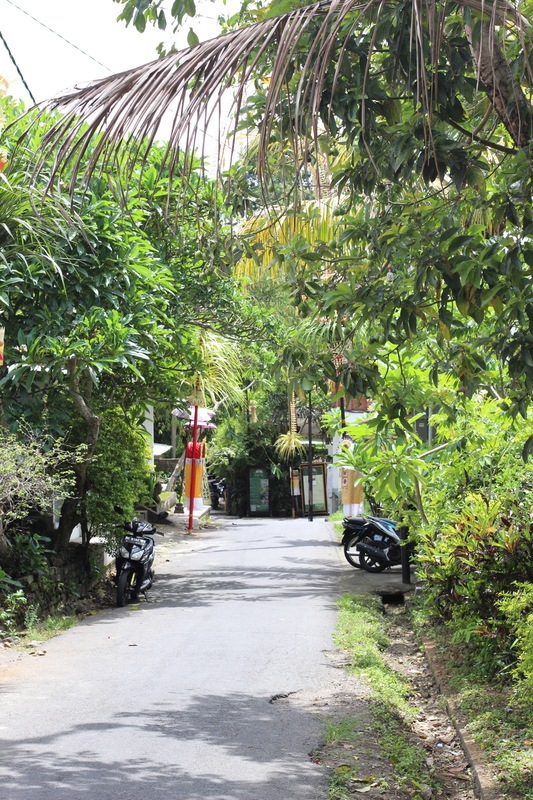 The aromas from the kitchen also provide a hint that the spices here are not your common ingredients. Instead you sense someone here did travel to places like Mexico, Panama or even Costa Rica. Polpette Di Melanzane, a delicious alternative to meatballs! 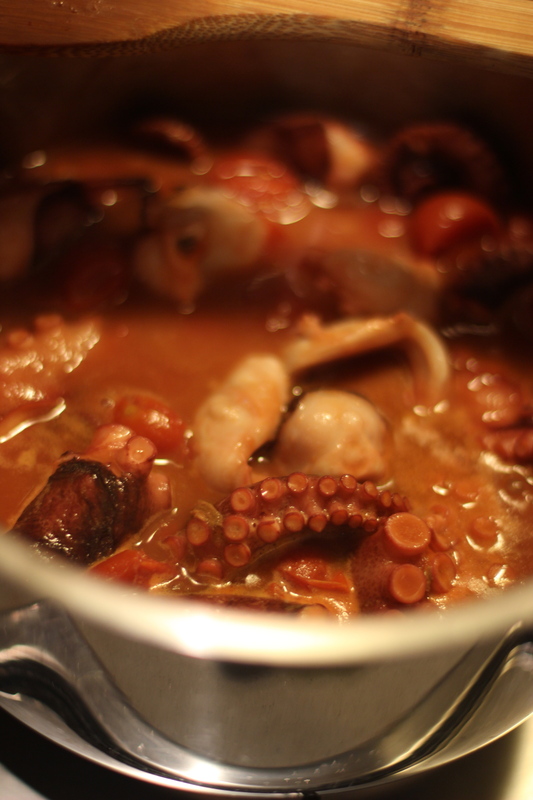 Polpi in Umido or Stewed Octopus! I dream of Puglia with a rice and mussel tiella! 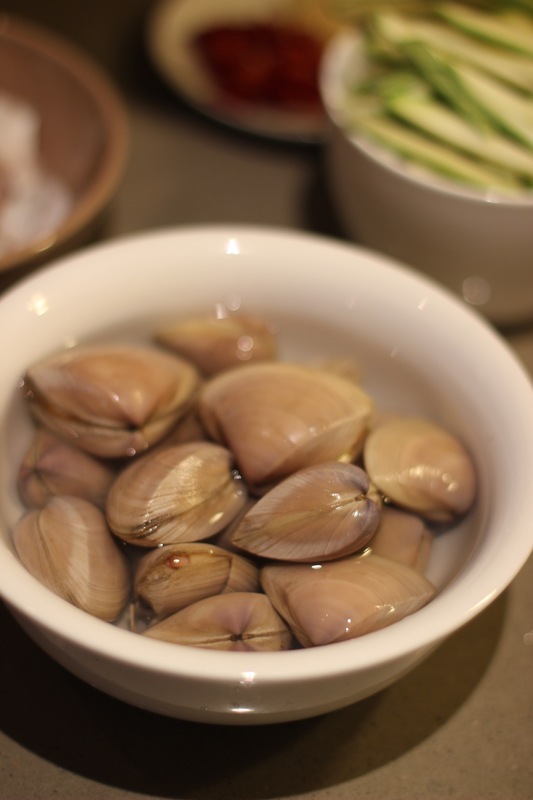 There are many versions of the Italian tiella, which like paella or cataplana is named after the vessel it is made in. 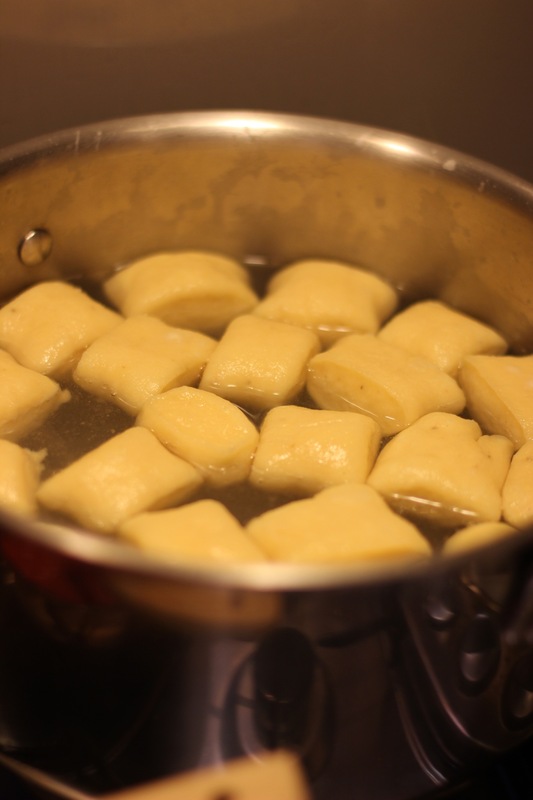 The recipe originated in Bari, the capital of Puglia. Bari overlooks the Adriatic Sea and was once an important Roman settlement, which connected the empire with the east. 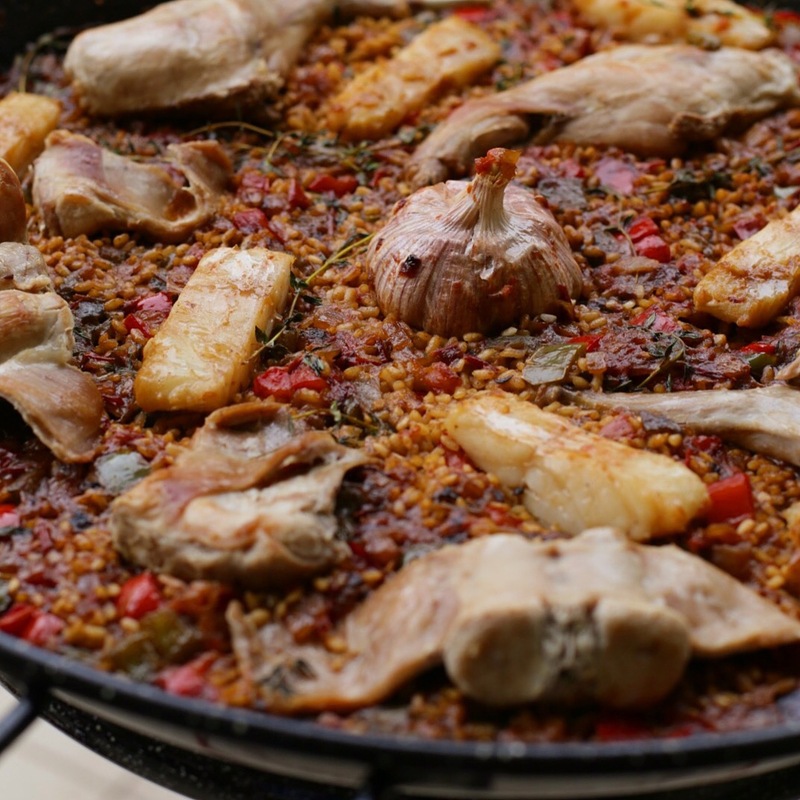 A queen’s favorite dish, Pollo en Pepitoria! My food memories this weekend take me back to one of my favourite regions in Spain, Andalusia. If there’s a dish that represents a city well than Seville’s Pollo en Pepitoria is one of them. 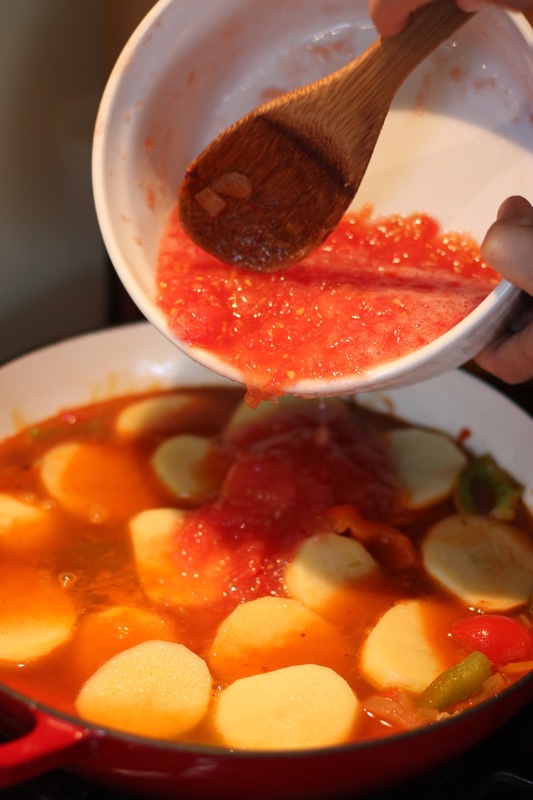 Pepitoria is a sauce technique introduced by the Arabs to the south of Spain. It combines crushed almonds, hard boiled egg yolks and saffron as a means of thickening a sauce and adding colour. 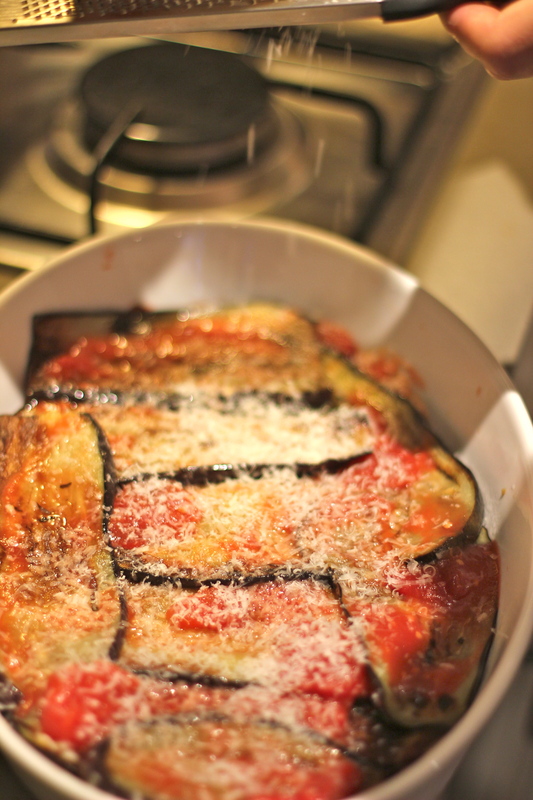 So it’s Parmigiana Di Melanzane tonight! 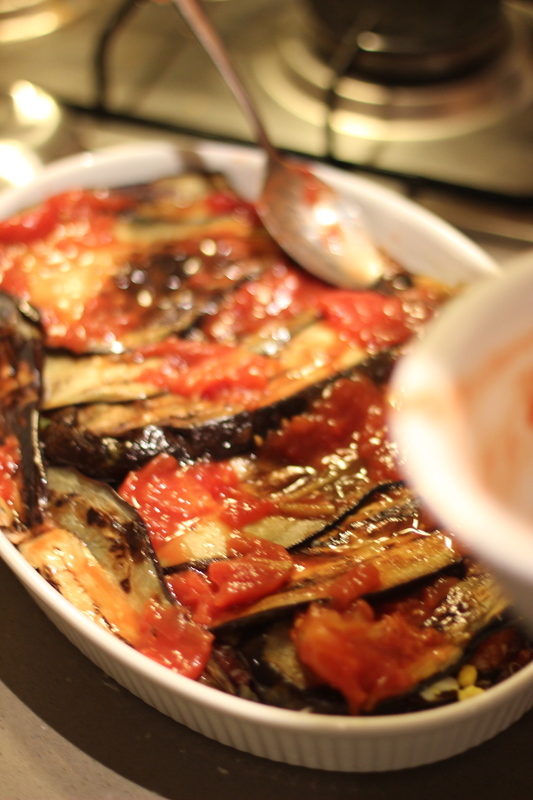 I love eggplant and while in season it’s the best time to buy them to make some old favourites. On this lazy Sunday night I wanted the oven do the cooking for me. 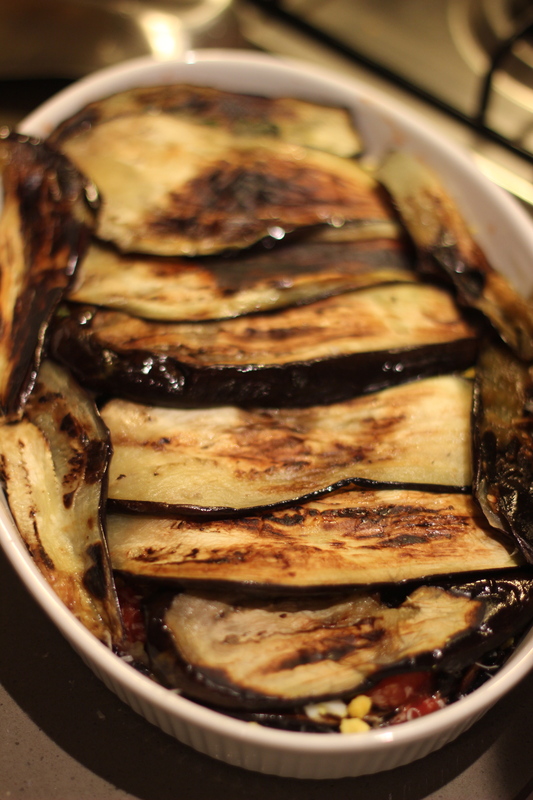 So I could not think of a better recipe than a Parmigiana Di Melanzane. 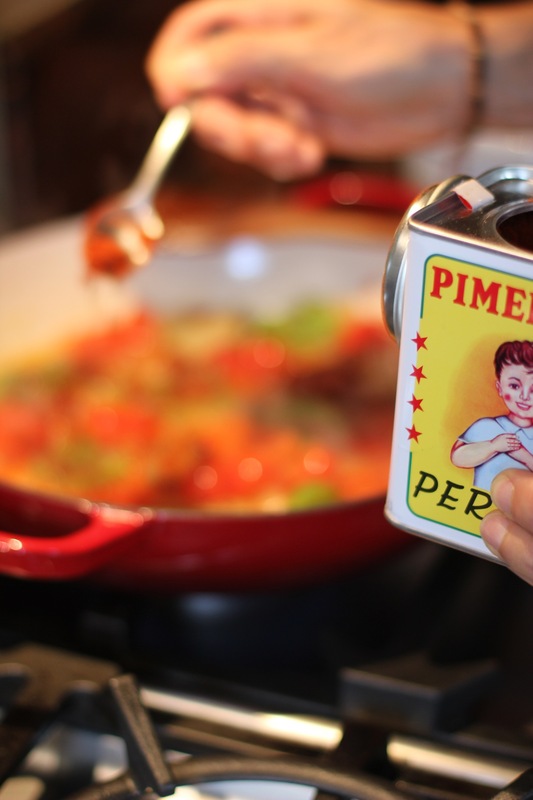 This iconic recipe has been claimed by the Sicilians in Catania, a town on the east coast of the island, dominated by the presence of Mount Etna, the tallest active European volcano. 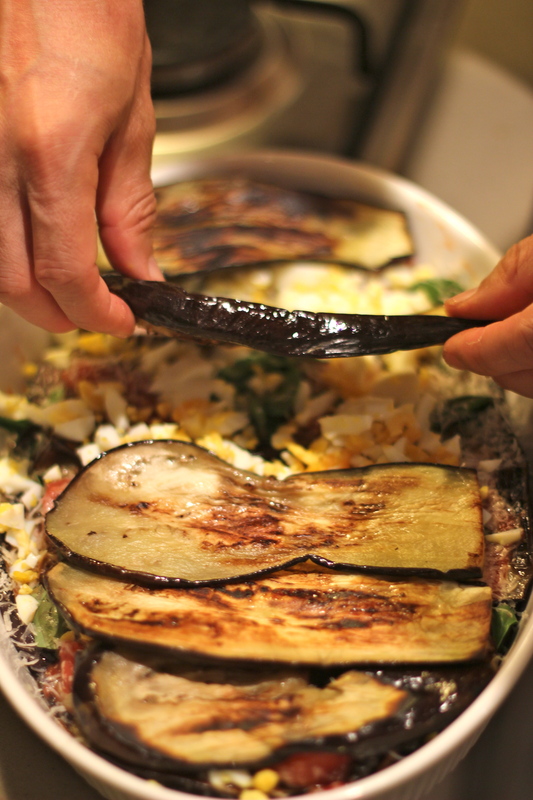 The eggplant locally known as petronciana forms the basis of many of Sicily’s dishes. Cataplana, a real communal dish! I was contemplating all week about a communal dish I could make for my father. I was celebrating his belated birthday that was long overdue. I couldn’t go past a Cataplana, a Portuguese seafood dish, popular on the country’s Algarve coast. Like a paella it is named after the pan used to prepare the dish. Traditionally made of copper and shaped like two clamshells hinged at one end and able to be sealed using a clamp. The cooking concept of this impressive utensil is also much like a Tagine. The dish is a perfect centre piece on any table. It surely brings people together at social gatherings and I was looking forward to doing that with my family and a nice glass of white wine. Ndundari – ricotta dumplings in tomato and basil sauce! I am always fascinated by traditional recipes. None more than this one from Minori, Italy. A town in the province of Salerno, on the Amalfi Coast. On Sundays I often dig through my recipe books to find something that inspires me and has a story behind it. 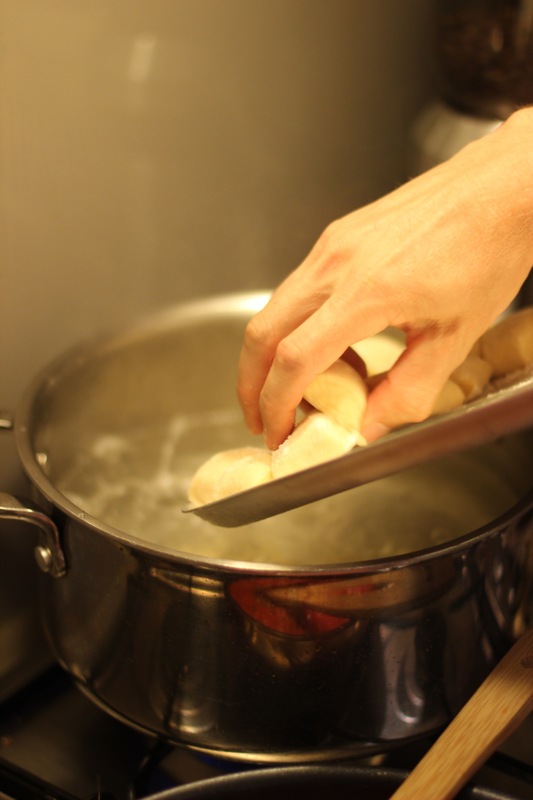 These dumplings are served on the feast day of the town’s patron saint, Trofimena, a female saint. There are three feast days honouring Trofimena – 5 November, 27 November and in summer 13 July. 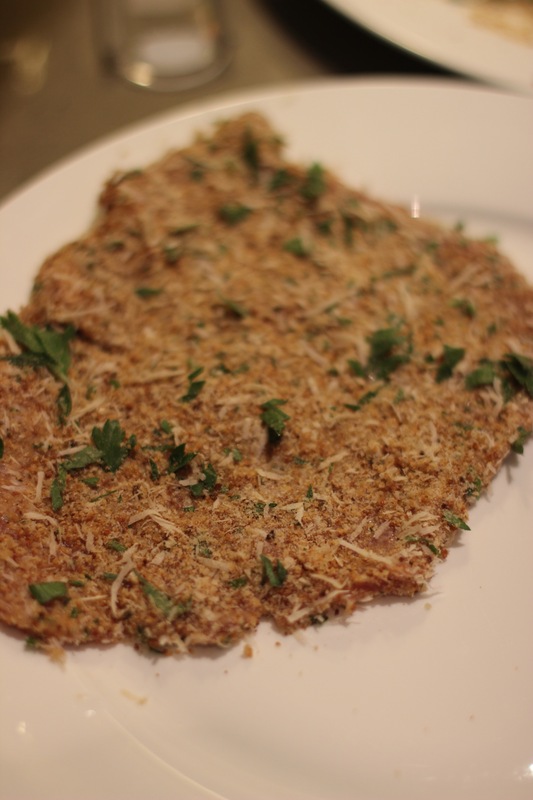 Veal Milanese with a generous serving of Arugula and a good squeeze of lemon is a great combo for summer. 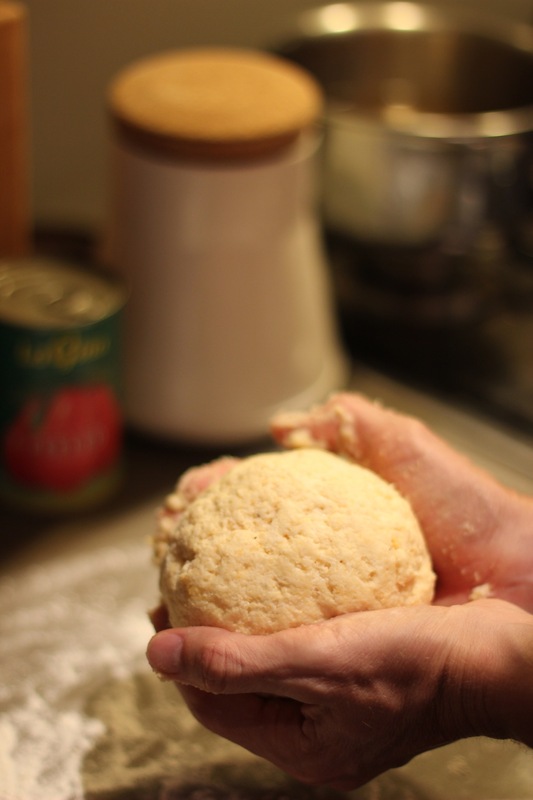 This grand Milan recipe transported by Italian immigrants to the Americas is also a favourite all over Latin America. 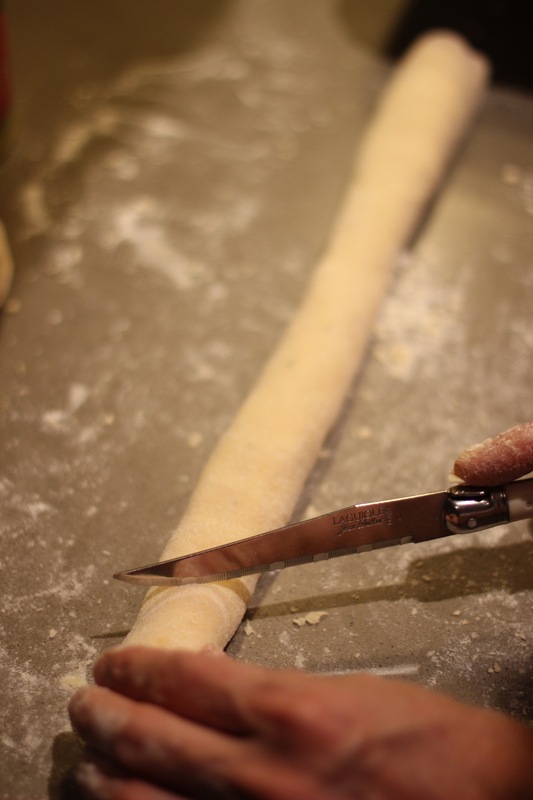 In my mother land, Chile, ‘Milanesa por favor‘ was a common request, especially in my mother’s kitchen. Often after returning from school, she would dash to the kitchen, majestically combine all the ingredients and start frying the gems until golden and crispy. 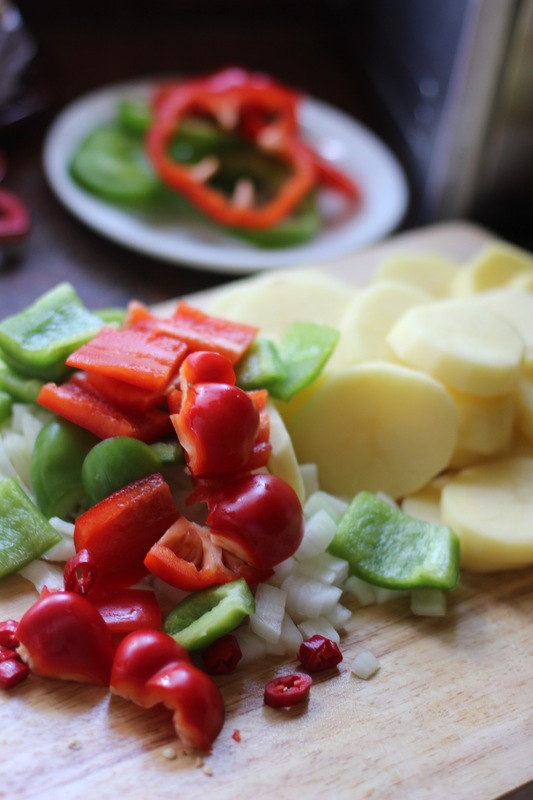 This is a great summer recipe that’s simple, light and can be prepared well in advance. 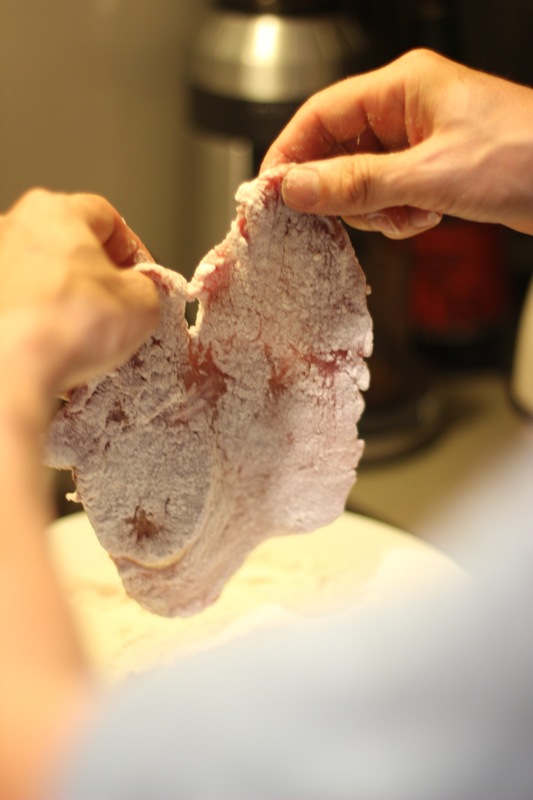 Don’t be afraid to ask your butcher to pound the meat until you can see your fist through the veal. 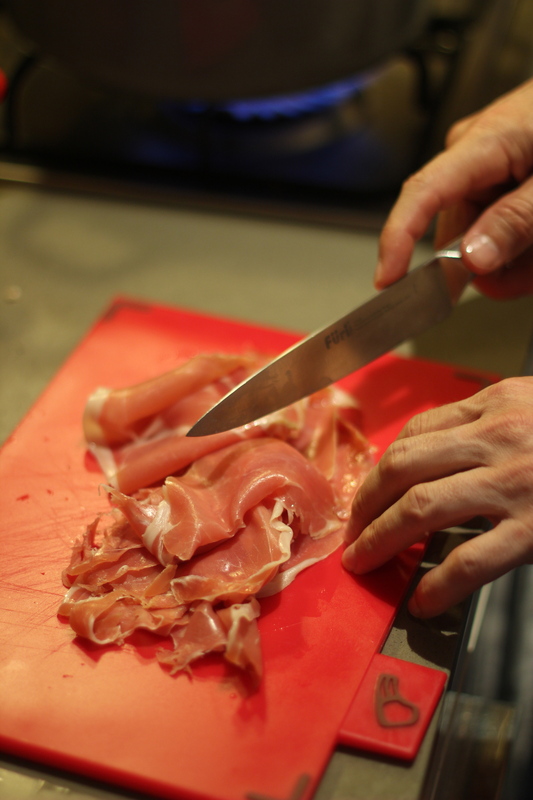 If your butcher is hesitant to do this, then do it yourself, otherwise change your butcher. 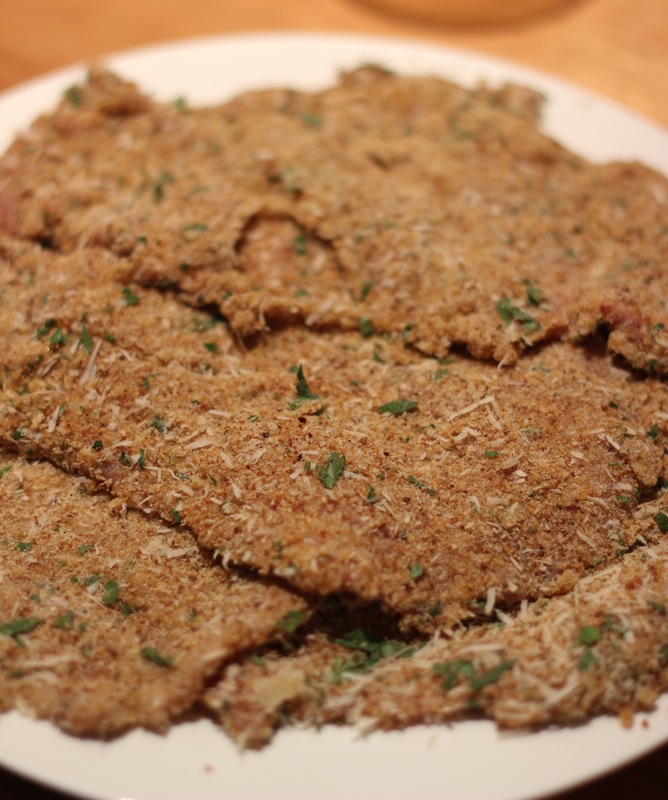 You can have the milanese cold with a nice crispy salad. 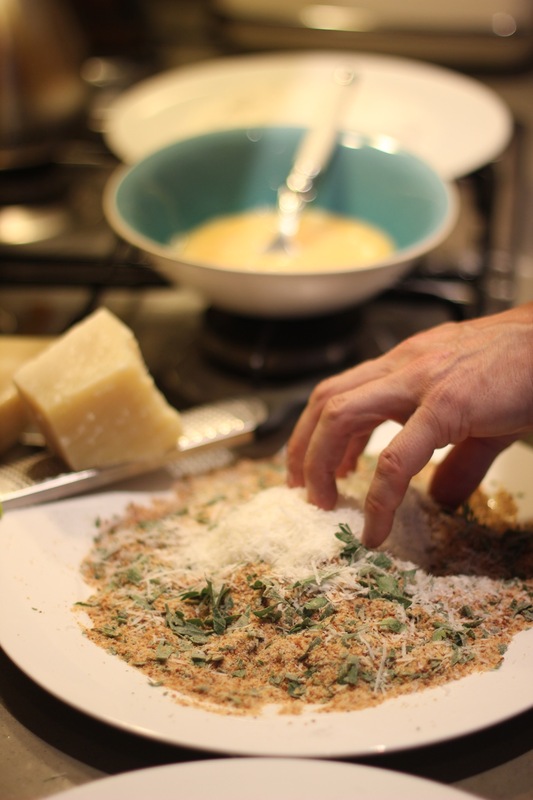 As long as you use good quality dry breadcrumbs they will remain crispy. 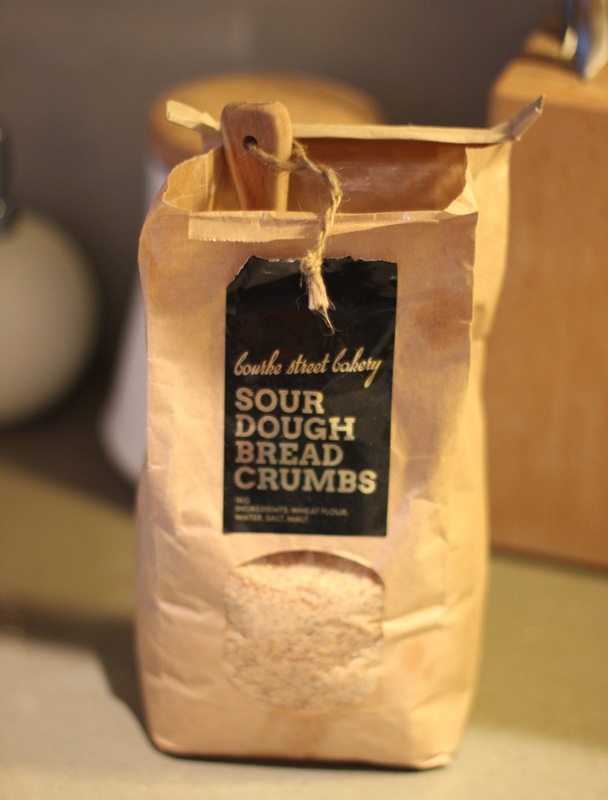 I use my favourite sour dough breadcrumbs from Bourke Street Bakery. 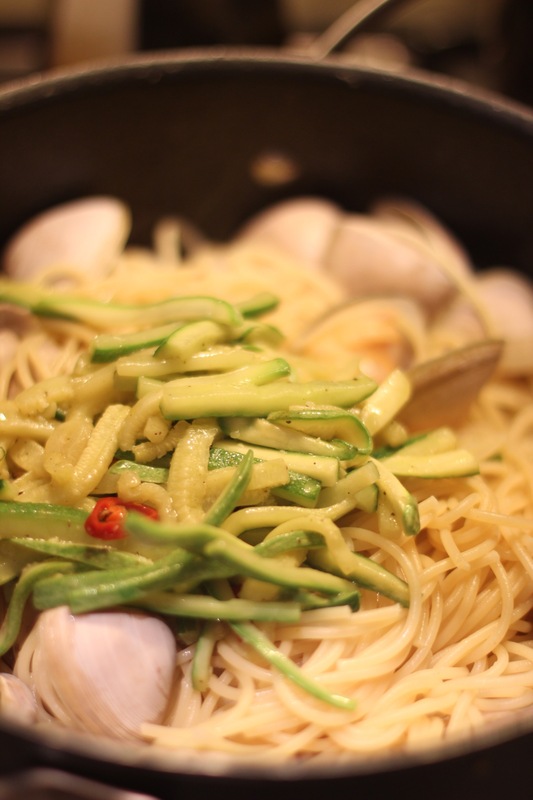 Spaghetti with clams, squid and courgettes! It’s Sunday night and what shall I make, well for most of us, this is a common question. 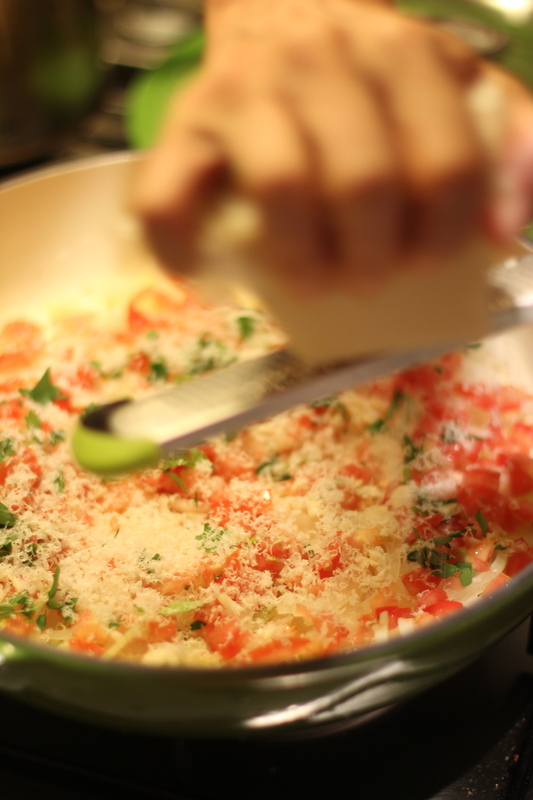 A simple pasta with a few good ingredients and a good bottle of wine is great way to end the weekend. Simple pastas just rely on good produce to bring it all together. 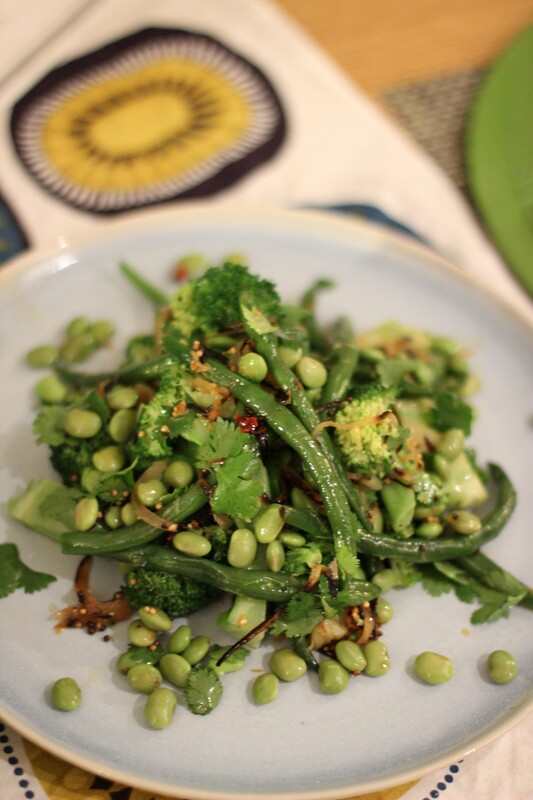 Plus I think it’s a joyful way to use the last remaining vegetables in your fridge. 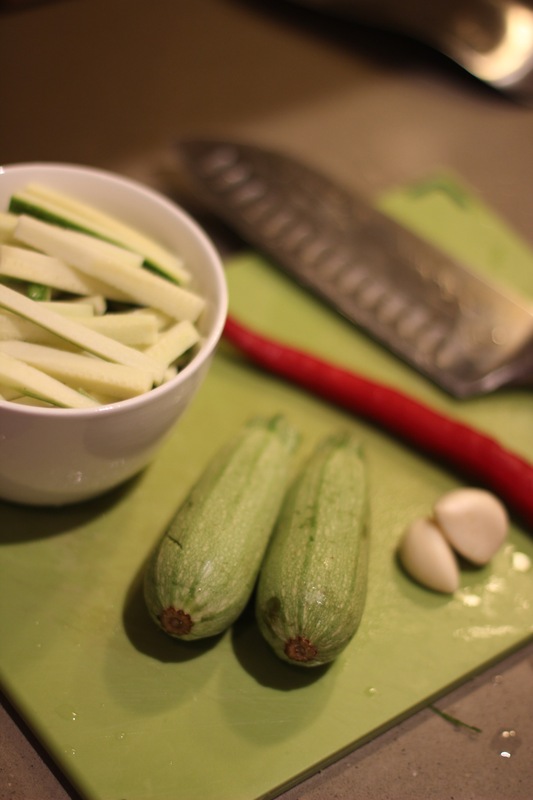 My lucky last veggies in the fridge were little courgettes, long red chillies and garlic. As always, I start by thinking of recipes that I can match ingredients with. For me Giovanni Pilu’s recipes have always been an inspiration. On this occasion what comes to mind is his Malloreddus with clams, bottarga and zucchini flowers. 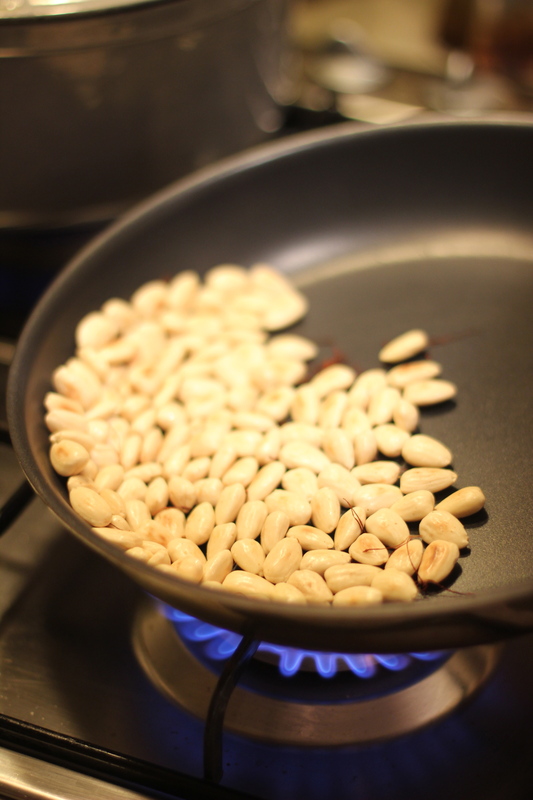 I don’t have Malloreddus in my cupboard, unless you are Sardinian not many of us do. The Garofalo spaghetti in the cupboard had to do. I usually stock up with this brand, it’s accessible and made from durum wheat flour. Great I had everything and I was on a mission! 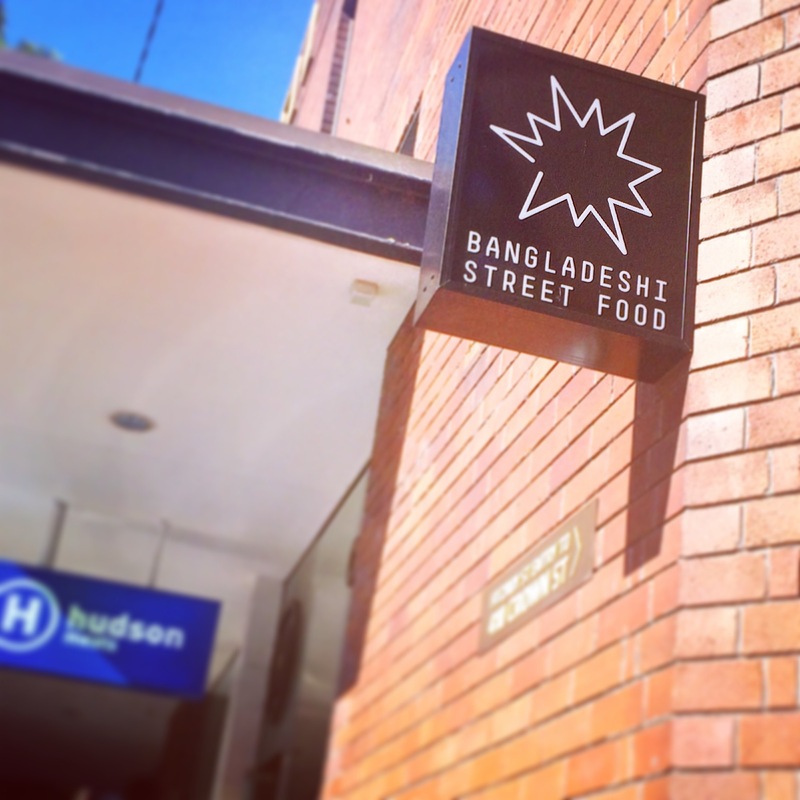 Bangladeshi Street Food with a bang! 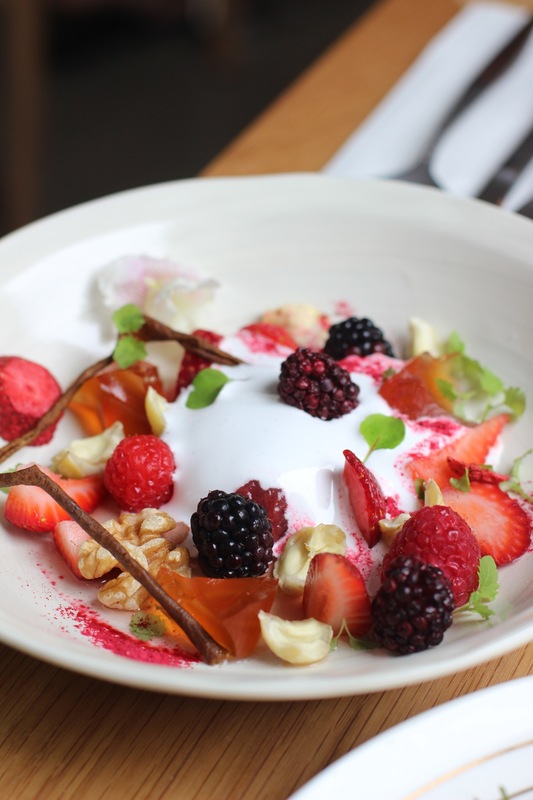 Surry Hills welcomes another diverse eatery right in the heart of Crown street. If you don’t look hard enough you may miss the sign as its not big but smart and cartoonish with a bang, KA-POW! 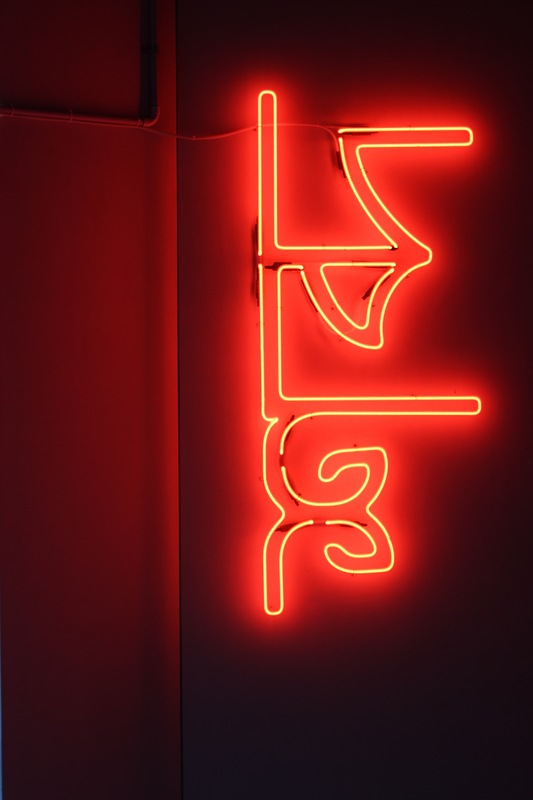 Bangladeshi Street Food opens its doors this week next to food icons Bills and Hudson Meats, so you really can’t miss it. 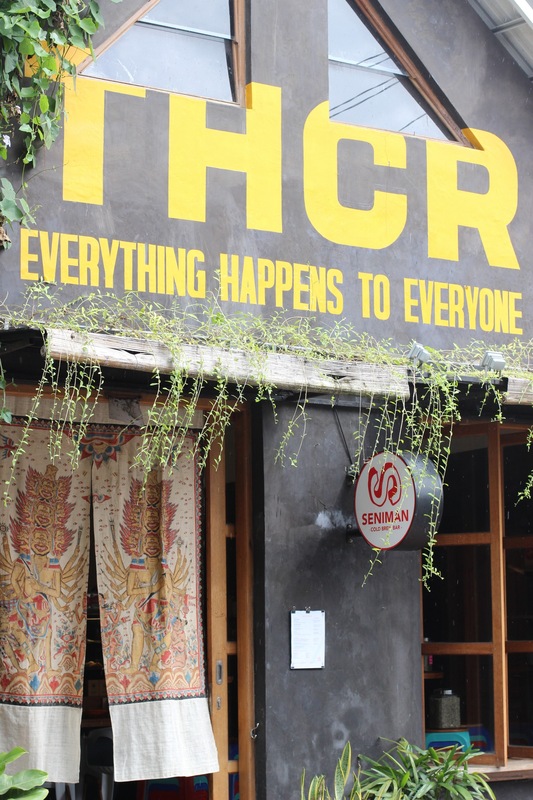 The space doesn’t give you a sense of street food but it sure opens your mind to exploring a cuisine packed with exciting flavours and aromas. 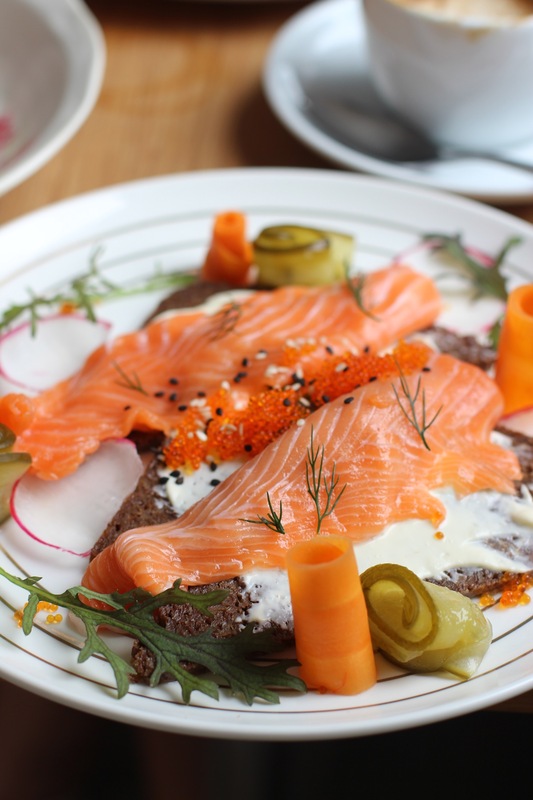 A Japanese Scandinavian inspired cafe! I am fortunate this little gem has opened its doors close to home. 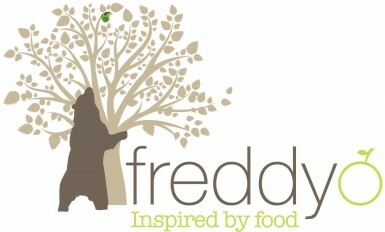 It brings something different to the area that will expand our food horizons and tantalize taste buds. They are in their element serving top-notch coffee and tea, as Edition Coffee Roasters is run by brothers Daniel Jackson and Corie Sutherland. Dan has teased coffee lovers at Clipper, Room 10, Clover and Black Star Pastry. Whereas Corie, a Japan enthusiast, has sourced good japanese green tea and is also inspired by Nordic cuisine, hence the concept. Why not, these contrasting cultures come as one through their smart minimalistic designs, organisation and clean food. Edition Coffee Roasters represents all these characteristics and is a welcomed addition to the area. They are roasting well-selected single origin beans and offer a nice selection of brewing methods like pour overs, aeropress and cold drips. This is also music to my ears as it means an extra devotion to delivering delicious milk based coffees. Think about it, your latte, flat white or cappuccino combined with an espresso shot from beans that are traceable to a single origin, as opposed to a blend where often no bean gets a star gig! 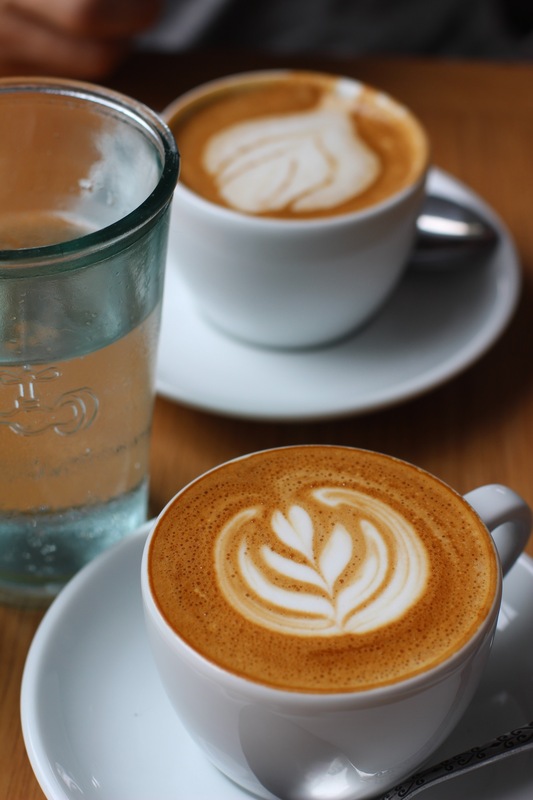 Our flat white and latte were impressive with a good hit of flavoursome coffee, clearly brought through by their sin! We arrived hungry and looking forward to a breakfast feast. Upon sighting the menu we were impressed to see a daring menu that moves away from the common avocado toast, boring breakfast boards or baked egg options, etc. 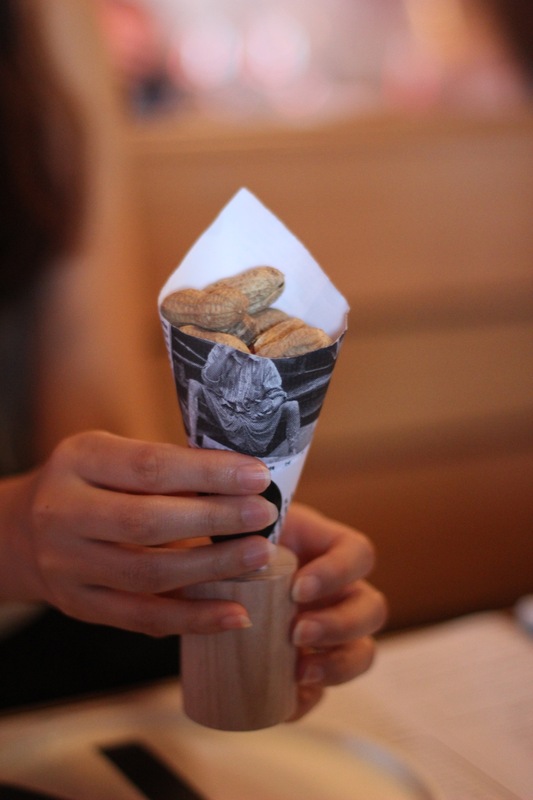 Yes here expect the unexpected but rejoice when you see their striking pretty plates with damn good produce. On this occasion we go for the berries with jelly yoghurt, delicious. Followed by the prawn salad on a crispy seedy base, just a bit more seasoning would have had me singing. We top all this with the king salmon, creme fresh and pickles. I will have this dish again for lunch on my next visit, if only they served a nice Riesling or white from the Alsace region to go with it. Ok yes I am dreaming but good food often plays with your senses and has you pondering about the past or good memories. 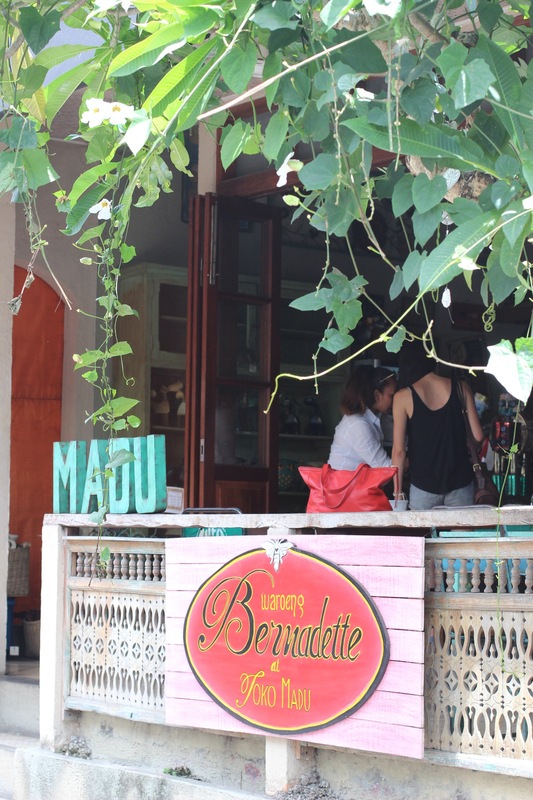 This place is surely a site to admire and ponder about food. 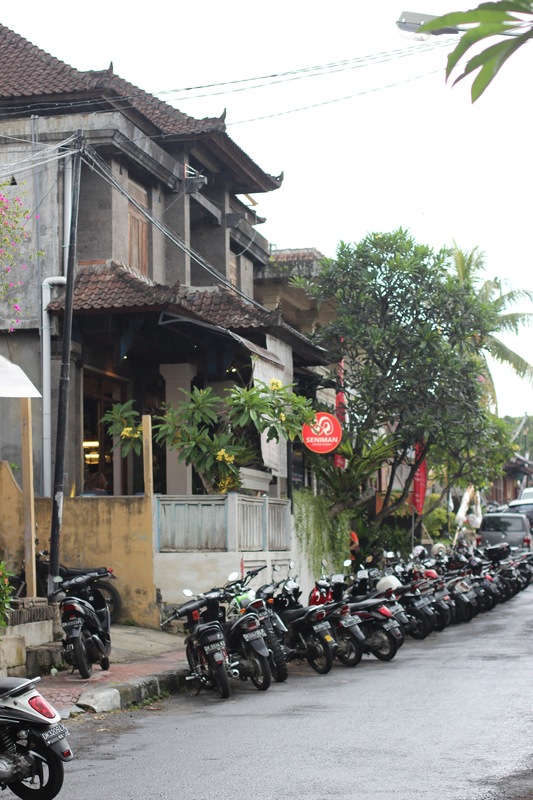 Seniman roasting great coffee in Ubud, Bali!